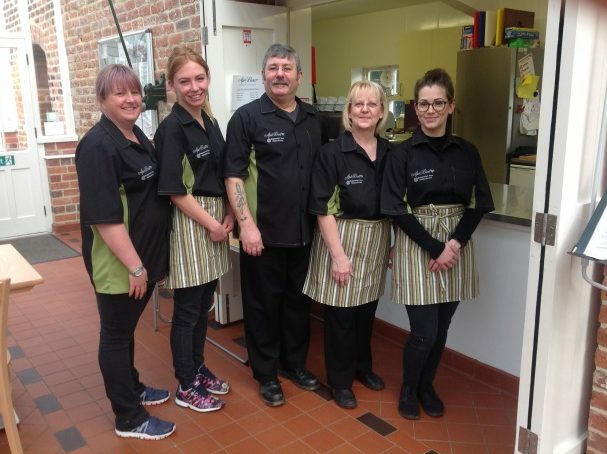 ApéBars is a Cheshire based Family run Catering Business established in 2006. We pride ourselves on the quality of our produce and our service. The Café is open Fridays 9am to 4pm, Saturdays and Sundays 10am to 5pm and also open on Bank Holidays. Breakfasts are served until midday and Breakfast Items range from a Full Gardeners Breakfast to lighter bites such as rolls and pastries. At midday we switch over to our Lunch menu, this then continues until the end of service. A full and quite comprehensive lunch menu is available, we also provide Gluten Free, Vegetarian and some Vegan options. During the winter month we serve different hot homemade soup, including our delicious vegetable soup with bread. Afternoon Teas are available at the cafe. Advance booking is required and a table will be reserved for you. We used a blend of Coffee that is provided by one of the few Coffee roasting companies in the UK, we have been using the same coffee for the last twelve years and it was originally chosen for its full flavour and lingering taste, served by trained Baristas who know their coffee. Our Hot Chocolates are just as good!!!! Many a “WOW” has been heard as they are served! We provide a large range of cakes, many made by our Home Baker and some from our other suppliers, whoever makes the cakes though, they have been carefully chosen, we are quite confident that they stand out as some of the best. 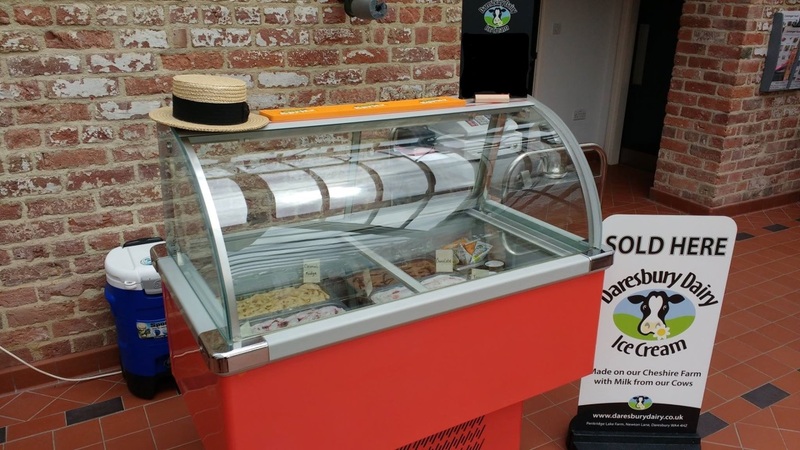 During late Spring and the Summer Months we serve Daresbury Dairy Farm Ice Cream.